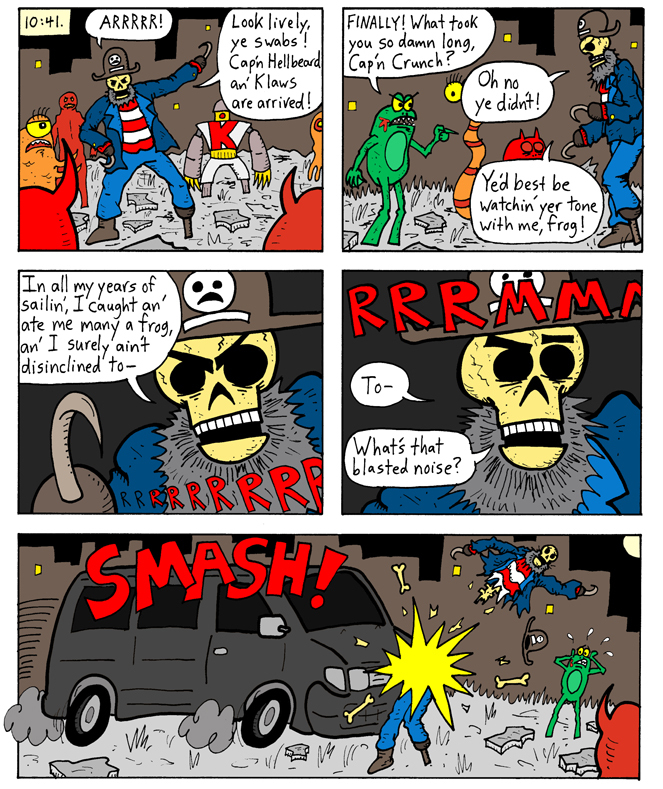 Like the other demon characters, Cap'n Hellbeard first appeared here. We later saw him hanging out with Klaws here and here. Now he's been hit by a van. But the question is . . . who's driving the van?!?! NEXT WEEK: Find out who's in the van! Also: the climactic final confrontation begins!